Happy Valentine’s Day! Want to make something special for your sweetie today? Why not a heart shaped cream puff. 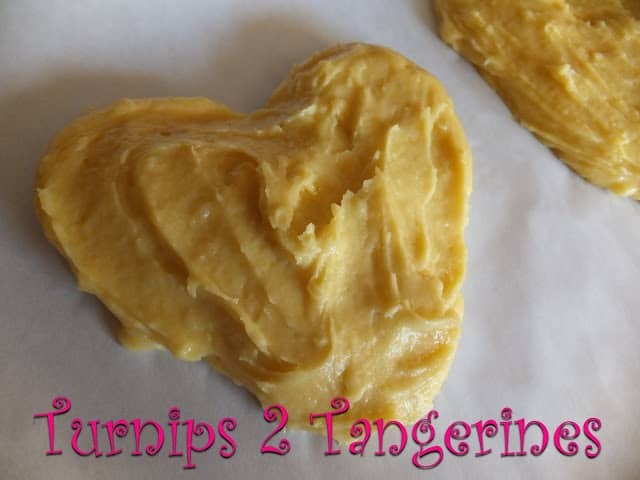 This recipe will make two single serve, heart shaped cream puffs. One for you, and one for your sweetie. 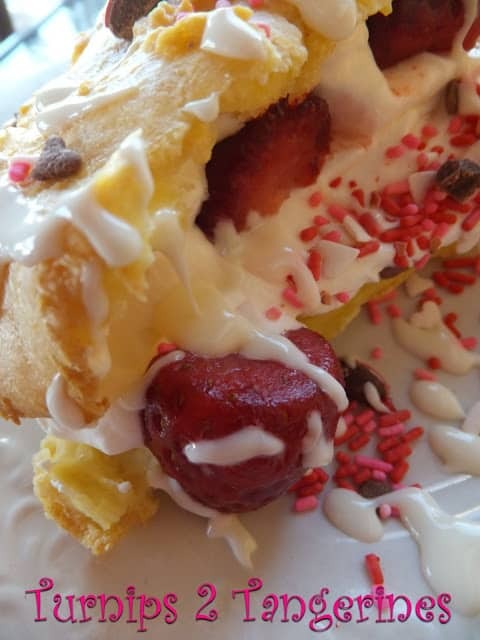 Fill each cream puff with whipped cream, sliced strawberries, chopped m & m’s Valentine candies and Valentine sprinkles. 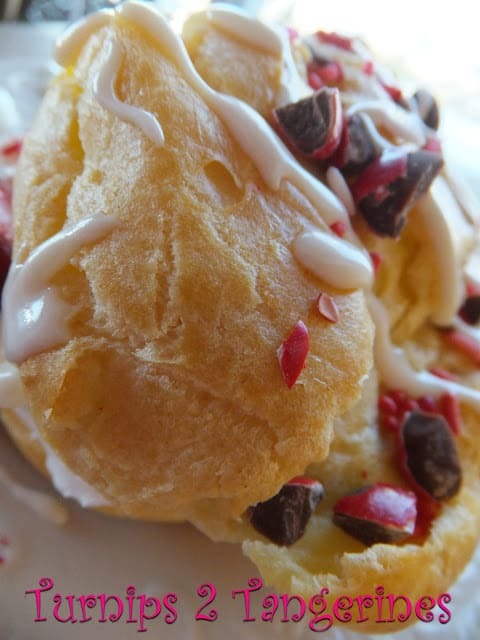 Top it off with a drizzle of white chocolate glaze and you have a real cream puff explosion. In a medium saucepan melt butter. Add water; bring to boiling. Add flour and salt all at once; stir vigorously. Cook and stir until mixture forms a ball that doesn’t separate. Remove from heat; cool slightly, about 5 minutes. Add eggs one at a time, beating with a wooden spoon after each addition for 1 to 2 minutes or until smooth. Drop batter by heaping tablespoons onto a baking sheet lined with parchment paper. Form into a heart shape. Bake in a 400º oven for about 30 minutes or until golden brown and puffy. Remove from oven; split in half, removing any soft dough inside. Cool on wire rack until ready to fill. Chill glass bowl and metal beaters for several hours. Whip whipping cream in chilled bowl with vanilla extract, adding sugar, one tablespoon at a time, until soft peaks form. Rinse, pat dry and hull strawberries. Slice strawberries in half, place in a medium bowl. Sprinkle strawberries with sugar, let macerate for at least an hour. Melt chips in microwave on low until chips are almost melted. Add cream, stir until desired consistency. Place bottom half of cream puff on a serving plate. Top with sliced strawberries and whipped cream. Place second half of cream puff on top of cream. Decorate with chopped m & m candies and sprinkles. 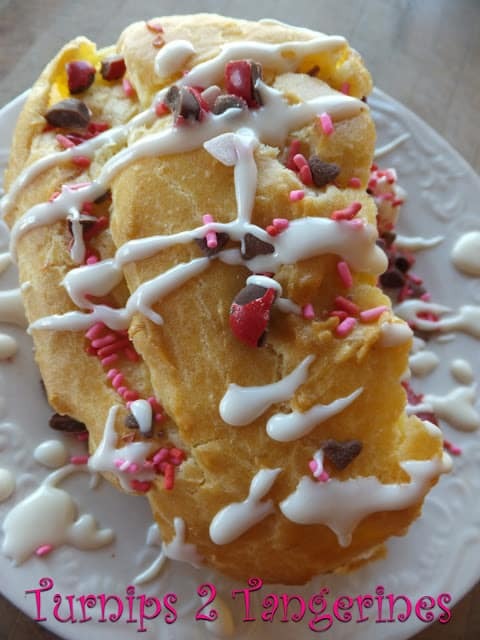 Drizzle with melted white chocolate chip glaze.